If companies are serious about their data-driven futures, they should give Chief Data Officers the authority and resources they need to empower all employees. Airbnb’s fifth employee was a data scientist. Today, it has its own data catalog, where 45% of its 3,100 employees regularly engage. Airbnb was built from the ground up to take advantage of data, just like Warby Parker, Facebook, Google and Amazon. But traditional corporations were not built this way. On this front, they’re lagging behind the companies that have, in the last few years, completely disrupted industries. There is no “silver bullet” fix. Instead, these companies need a structure built around and for the people. It starts with the Chief Data Officer. Corporations have responded to the data imperative by creating new job opportunities—most notably, by inventing the “Data Scientist” and the “Chief Data Officer” roles. Experts and leaders across many industries have endorsed their reason for being. In the Harvard Business Review, Thomas Davenport and DJ Patil called the Data Scientist “The Sexiest Job of the 21st Century” (note: in full disclosure, DJ Patil serves on our Advisory Board at data.world). In 2017, Gartner cited the average Chief Data Officer budget as $8 million (a 23% increase from 2016), and reported that 90% of large organizations will have hired a Chief Data Officer by 2019. Before starting data.world, I founded and led Bazaarvoice and Coremetrics. And let me tell you: I’ve seen this pattern before. New roles get invented at the beginning of a nascent category and new careers are made. It’s a very exciting time, and these new positions are an admission by corporations that the status quo approach to managing the explosion of data, infrastructure, and tools isn’t working. Despite the rising popularity of data-driven technologies, studies show that less than 10% of data is used effectively by organizations. In 2017, 85% of big data projects were cited as doomed to fail. Opportunity abounds for the pioneering, but not without risk. 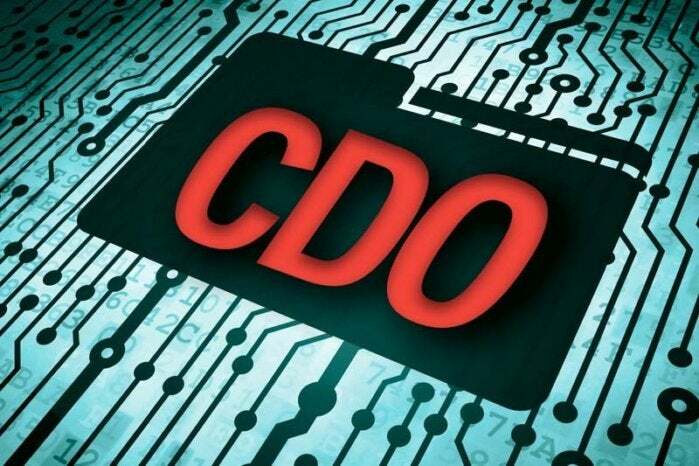 As is often the case with new roles and developing ways to measure their impact, Gartner predicts that 50% of Chief Data Officers won’t succeed. Why? Outside of select teams, a lack of support for the required cultural change hinders their usefulness, their jobs aren’t very well defined yet, and it isn’t clear exactly how they’ll achieve their mission. As data brings down traditional functional barriers, organizational power shifts. This can make company leaders uneasy. It can challenge the reign of HiPPOs (the highest paid person in the room). But it must happen in order to create the potent mix of people, practices, and tools that multiplies data’s value. At data.world, we’ve defined and developed a CDO-led approach to this transformation called Collective Data Empowerment. It’s an approach that lifts up all employees, not just the data elite. Additionally, team members who feel empowered are more likely to be loyal. Today’s workforce is expecting immediate answers to their questions. And they don’t like friction that gets in the way of contributing with knowledge or skills. This is one reason why modern companies like Warby Parker and Airbnb have been built up from the ground up around data. Their founders understood the Internet intuitively—they didn’t have to learn it. They were used to having instant access to information (Google, Wikipedia, etc.) as well as people (Facebook, LinkedIn, etc.). Your new-age workforce expects to be connected—to each other, and to the data and the answers they need to do their best work. It is time for openness and connectedness to reign—from open standards and integrated tools to linked data and deep community participation. To win, your company needs to put its people at the center of data and analysis. Chief Data Officers were made for this moment. But they can’t do it alone. It’s 2019, and I can’t think of a better New Year’s resolution than for their companies to support them now to create that data-driven culture that we all seek. I'm hard at work alongside three amazing co-founders building the most meaningful, collaborative and abundant data resource in the world. In my free time, I'm doing my best to help support Austin's entrepreneurs by being an encyclopedic resource of what I have learned in founding six companies and investing in and mentoring many others. I've been a lifelong student of leadership and entrepreneurship since I began my career, and I will always be learning.